"Very nice family and warm host service." Have a question for Jamspal Guest House? "Owner very friendly and nice ." 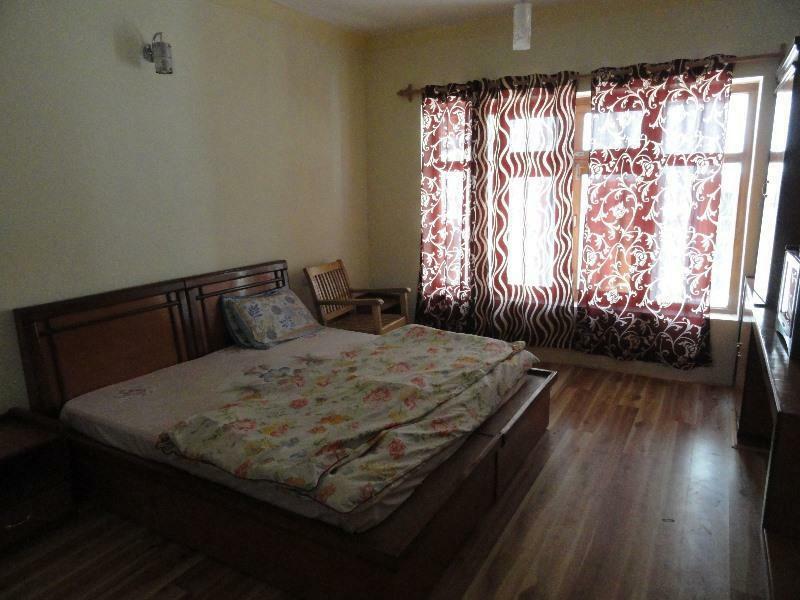 "The location is quite close to the centre and the hosts are..."
Well-placed in the sightseeing, culture, religious interests area of Leh city, Jamspal Guest House provides a most conducive spot for you to take a break from your busy days. Situated only 01.00 Km from the city center, guests are well located to enjoy the town's attractions and activities. With its convenient location, the hotel offers easy access to the city's must-see destinations. 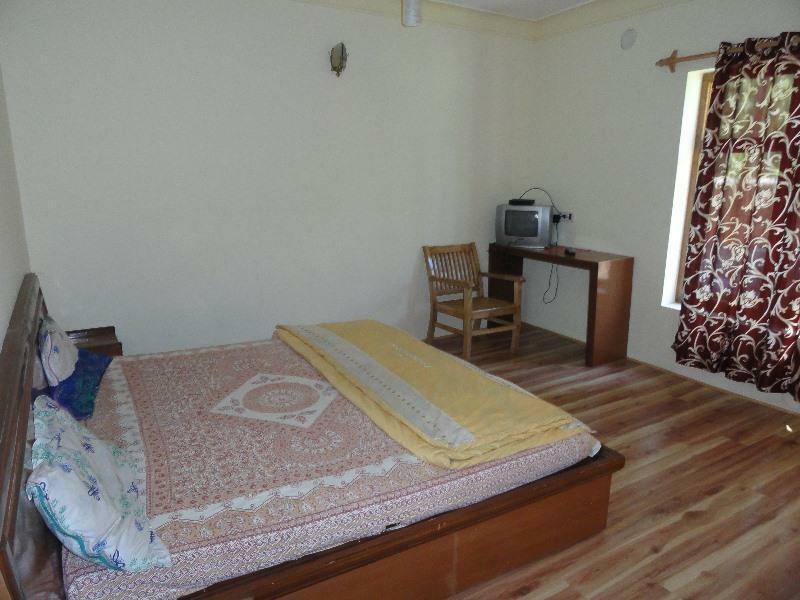 Jamspal Guest House also offers many facilities to enrich your stay in Leh. 24-hour room service, free Wi-Fi in all rooms, 24-hour front desk, Wi-Fi in public areas, car park are just a few of the facilities that set Jamspal Guest House apart from other hotels in the city. Guests can choose from 14 rooms, all of which exude an atmosphere of total peace and harmony. The hotel's garden are ideal places to relax and unwind after a busy day. Whatever your reason for visiting Leh, the Jamspal Guest House is the perfect venue for an exhilarating and exciting break away. ":) They are super friendly, nice and very helpful." I would absolutely recommend staying here for the tourists who are travelling on moderate budget. We had booked two rooms with a common bathroom shared with other tourists. The location is quite close to the centre and the hosts are quite helpful. the owners are also the staffs. :) They are super friendly, nice and very helpful. The mother cooked very good food The sons are kind, knowledgeable of the places around and can give you good advices. I'd love to visit again if I go there. thank u sir ,we appreciate your compliment. thank you for your compliment sir .we are very thankful to you. Thank you for the reviews but i dont think its difficult to find because it is located in the middle of the city. Anyways we will take it as a suggestion for the future reference. thank you for your appreciation sir.We would be happy to welcome you whenever you visit ladakh. Excellent family, the place is well-run and they make good tea and meals from their own large garden ... Very helpful with travel connections too. Very popular (I was there out of season and they were full up in the main buildings- they have a second guesthouse nearby as well) Quite a walk from the bus station, take a taxi. Plenty of shopping etc nearby.Good. Thank you for the beautiful writings We appreciate your valuable suggestions and compliments. very nice family and warm host service. It is quite convenient and cheap. Thank you for your valuable suggestions and compliments. 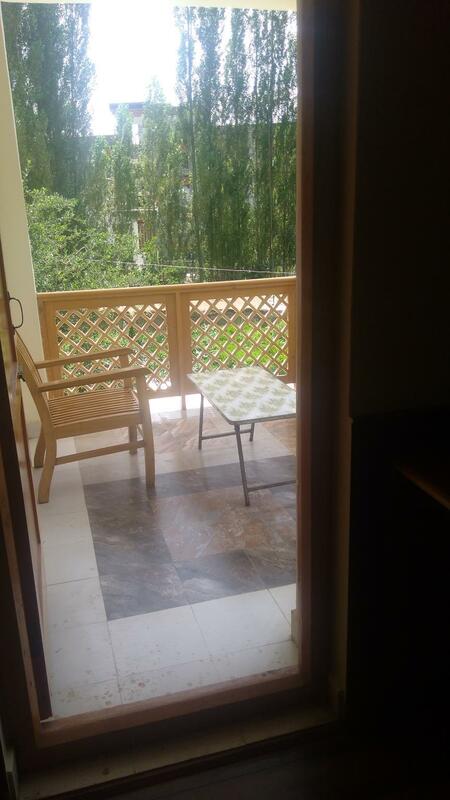 Super lovely place, nice view with flower garden, cute neighbours, good location with restaurants and services nearby. The family was super friendly and they were serving us tea every morning / all day if you stay in (you can even request what kind of tea you'd like). Their son Ishey spoke fluent English and was super helpful with getting us travel permits & he asked his dad to drive us around when needed. We stayed about 10 nights there, coming back and forth from lake tours. Their hot shower only ran from morning until afternoon, but one late evening I asked the dad for hot shower and he turned it on specifically for me to shower for hours. The family offered us to try their homemade dishes couple of times, so we cooked something for them in return and helped with the dishes, it felt as if we were staying with a host family. Was very homey. We could just hang around and watch TV with them in the living room. Big plus if you're a dog person and love Labrador Retriever, they have huge one named Mary, who liked to sit on plastic chair & had tea time with guests. Thank you Tashapohn for your beautiful compliments we are so humbled .We are so thankful to you for your beautiful compliments . Feel like home. Owner so nice! They invite us for dinner with the family. It was really nice experience. Thank you Peter for your beautiful compliments. I stayed here 6 days. The owners was so friendly. The location is perfect, near the market and Ladakh Bike Rental where we hire motorbike. Clean and warmly. They also have beautiful garden with many kind beautiful flowers. 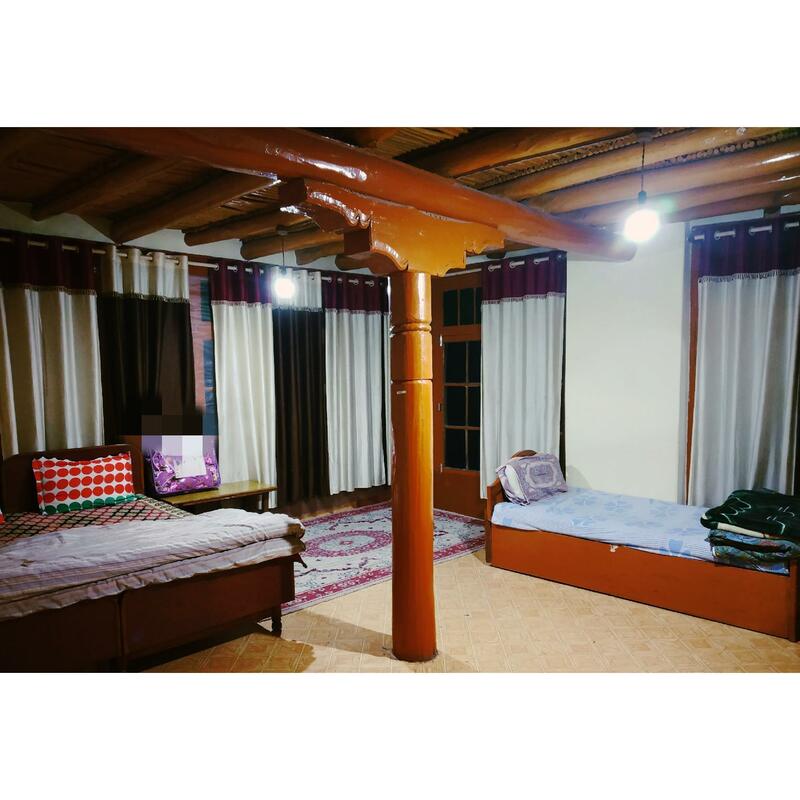 Everytime we're back to Leh, we're back to this guesthouse. This guesthouse made me feel I were in my home. The dog is so cute, I miss her so much when I left. Thank you for the beautiful compliment we are so thankful to you. The family were friendly & welcoming, If you get a new room then it would be ok.
We were given one of the old rooms which was very small and showing signs of age. The bathroom shared a window with another room and there was cigarette smoke drifting through which was rather unpleasant. The family were very fair though and refunded our 2nd night when we moved out. If you get a new room then I think it would be fine but if you book online this is a gamble! Thank you Tim for your suggestion we would defintiely consider your suggestion .Whatever problem you may have faced we are extremelly sorry for that. Thanks remo for your valuable suggestions . The owners are so welcoming and friendly. Every morning they brought us hot tea. The location is perfect, walking distance from everything but in a quiet side alley. Thank you Ann for the beautiful compliments. Thank you Mishul for the lovely compliments.